Teach your Shar-Pei basic verbal commands like "Sit, " "Stay" and "Leave-it" using the clicker. Say the command, using an authoritative tone and either lure or catch the desired behavior you want. Once your pup performs the behavior, immediately click and treat him. 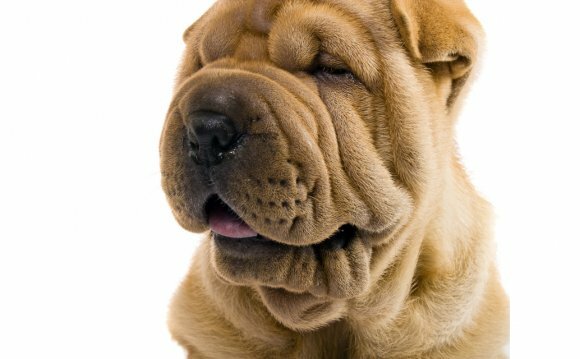 Keep training sessions short, to no more than 15 minutes at a time, because Shar-Peis become easily bored and may begin to ignore your training if it isn't fun for them.